Retractable or extendable dog leashes are one of the most popular restraining devices on the market today. The dog leashes are comfortable, restraining but will still allow some freedom for the dog. The retractable device is made of thick plastic or a stronger composite and most leashes are made of nylon. The retractable dog leash will not be a suitable leash option for just any dog, despite its control options and convenience. An unleashed dog can pose potential threats to children, adults, other animals and themselves. Don’t walk an aggressive dog with a retractable leash because this type of leash will make it very difficult to control your dog which could pose potential harm to others. Puppies should be kept on a regular leash to ensure their protection from a variety of other dangers such as cars or other dogs. The main purpose of a dog leash is to prevent the dog from biting or attacking others, endangering traffic, urinating or defecating in inappropriate places, causing property damage and from getting lost. Legislation has been passed in many cities that require dogs to be leashed while in public areas. Many public establishments will allow a dog onto the premises as long as the dog is kept on a leash. Many dog owners use the retractable leash to give their pet more exercise during a walk while permitting their dog to still sniff around, run and play. This dog leash is retractable and can be drawn back which means the owner is capable of pulling back an animal due to the harness. A retractable dog leash should only be used after your pet got used to a regular dog leash. This type of dog leash could become hazardous for a pet when the leash becomes tangled up or when the pet is no longer in sight of the owner. Definitely read all the instructions and contact the manufacturer if in doubt. A quality retractable leash will attach to the dog’s neck collar or harness to serve as their guide while being controlled by the owner. The use of a dog leash is very important and will help dog owners control their pet in almost any situation. The retractable dog leash has become one of the more popular choices because of the many benefits it provides for both, the owner and their dog. It is helpful when you want to allow your dog to roam freely or wander away from you without actually letting your pet off-leash. 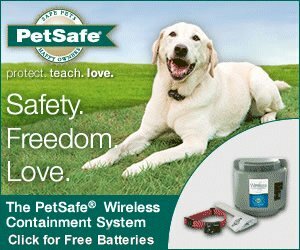 Dog leash training pdf Right click and choose "save as..."
© 2019 Retractable Dog Leash. All Rights Reserved.